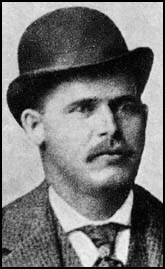 Harry Longbaugh (Sundance Kid) was born in Mont Clare, Pennsylvania, in 1870. Little is known of his early life but in the late 1880s he was involved in rustling in Sundance, Wyoming. After serving 18 months in prison he worked as a cowboy in Wyoming. Soon after his release he was charged with stealing $80 from an old man in Lusk. He escaped and in December, 1892, he Great Northern train in Malta, Montana. 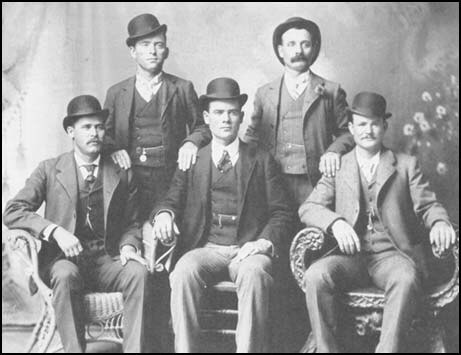 Longbaugh had joined up with Harvey Logan to rob a bank at Belle Fourche, South Dakota on 27th June, 1897. Longbaugh and Logan were captured but managed to escape from Deadwood Jail three months later. On 29th August, 1900 the Sundance Kid and Butch Cassidy robbed a Union Pacific train at Tipton, Wyoming. This was followed by a raid on the First National Bank of Winnemucca, Nevada (19th September, 1900) that netted $32,640. The following year the gang obtained $65,000 from the Great Northern train near Wagner, Montana. In 1909 the men were back in Bolivia. One account claims that Butch Cassidy and the Sundance Kid were killed in a shoot-out at San Vicente. However, the police were not able to positively identify the two dead men. According to another source the men were killed while trying to rob a bank in Mercedes, Uruguay in December, 1911. Another source claims that Robert Longbaugh escaped from these incidents and returned to the United States and died in Casper, Wyoming in 1957.